Valtteri Bottas had "no reason" to think Mercedes would impose team orders on him in Australia. Valtteri Bottas says he had “no reason” to think Mercedes would consider using Formula 1 team orders during the Australian Grand Prix. 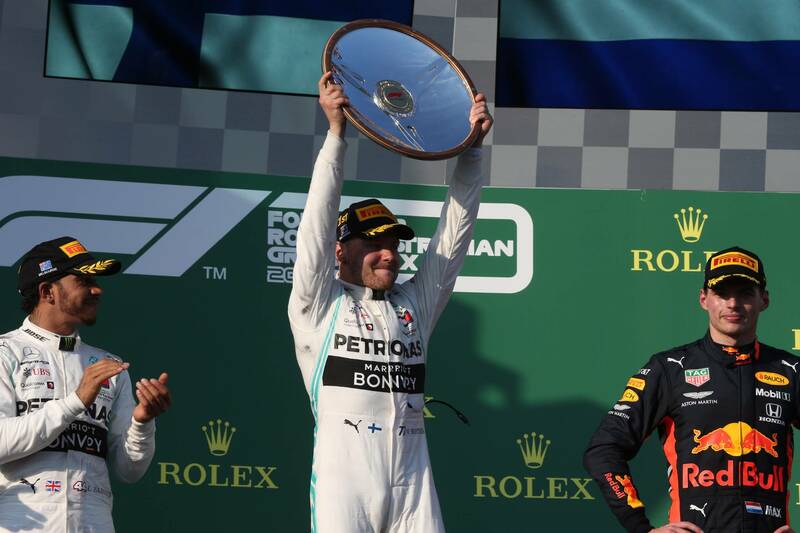 The Finn dominated the 2019 season-opener in Melbourne to claim his first victory since the 2017 Abu Dhabi Grand Prix, leading home a comfortable Mercedes 1-2 from teammate and reigning world champion Lewis Hamilton. It was the first time Bottas had been leading a race ahead of Hamilton since last year’s Russian Grand Prix, the scene of a controversial team orders call as Mercedes instructed Bottas to give up the race win to aid Hamilton’s title bid. Asked if he had any flashbacks to Sochi in Australia, Bottas replied: “No, I didn’t think of that actually, and there would be no reason to think about that. The 2018 Russian GP acted as one of the lowest points of a tough winless campaign for Bottas, who ended the year fifth in the championship while Hamilton sealed his fifth drivers’ title with 11 victories. Bottas had vowed to return stronger than ever this season and credited a change in approach to his preparation for 2019 as key to his turnaround in form. “For sure every year you learn as a person, you learn about yourself,” Bottas explained. “What works for you, what doesn’t work for you in terms of preparation and what preparation includes. “How you rest, how you spend your free time, how you do the training, how much training, what kind, all those kind of things, travel plans, all sorts. So just trying to optimise everything for this year, try to maximise every single thing that is possible.